Leading Manufacturer of long shackle iron padlock, iron padlock, plastic coated brass padlock, round padlock, brass luggage padlock and cast iron padlock from Gurgaon. 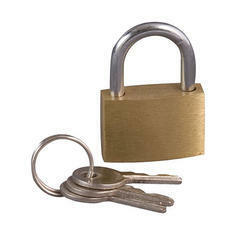 We have gained expertise in trading and supplying our clients with the best quality Long Shackle Iron Padlock. This Long Shackle Iron Padlock is available in different shapes, sizes, and patterns and can be customized as per the requirement of the clients. Our vendors use superb quality of materials and components for making this Track Sliding Door System as per international quality standards and norms. Client purchase these padlocks at the reasonable rate. 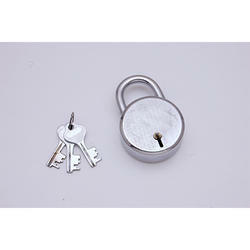 We are offering Iron Padlock to our clients. Successfully meeting the demands of customers as a manufacturer and exporter, we are engaged in offering Plastic Coated Brass Padlock. Backed with huge industry experience and market understanding, we are involved in manufacturing a wide variety of Round Lock. Successfully meeting the demands of customers as a manufacturer and exporter, we are engaged in offering Brass Luggage Padlock. Available in different mechanisms, these locks are manufactured using brass and other metals that are obtained from reliable vendors of the market. Backed by huge industry knowledge, we are trading and supplying a supreme quality range of Cast Iron Padlock to our highly valued consumers. This Cast Iron Padlock is made by advanced technology under the guidance of our experts at vendors end. 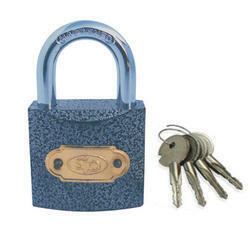 We offer this Cast Iron Padlock range as per client’s specifications at market leading prices.